Do you prefer to build things yourself? If so, this product is for you! The Raspberry Shake & Boom is the complete solution to watch the shakes of the Earth and the infrasonic booms in our atmosphere. 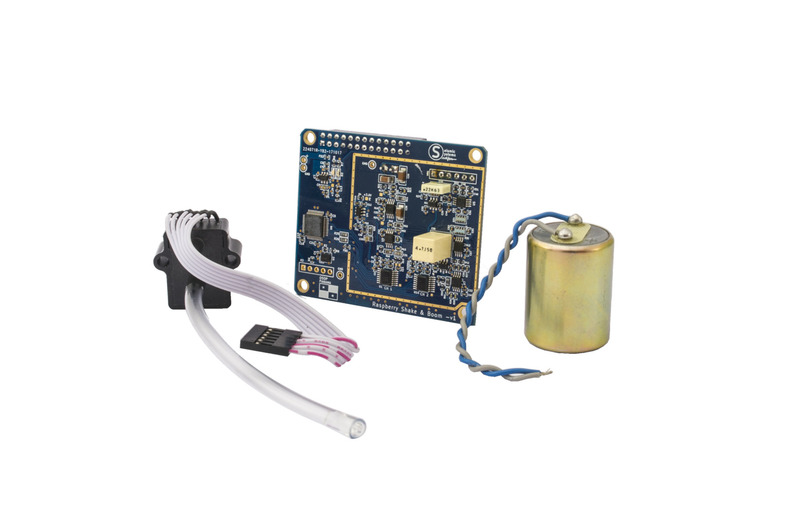 Combining the seismograph features of the the Raspberry Shake 1D, with the infrasound sensors of the Raspberry Boom, this unit gives you the best of both worlds. Explore the relationship between seismic waves and infrasonic vibrations and discover the unheard symphony of sound to uncover intriguing events such as foreign objects, like meteors, as they plunge through our atmosphere. 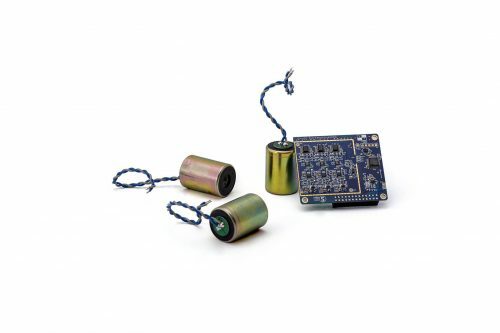 Combining the geophone vertical axis Earth monitoring sensor from the Raspberry Shake 1D and a precision infrasound sensor, the Raspberry Shake & Boom detects seismic motion beneath you and “inaudible” noises in our atmosphere coming from a huge number of sources. This makes it possible to monitor earthquakes and ground motion and observe these vibrations move into the atmosphere, for example, in the case of volcanic eruptions, avalanches, landslides and explosions. 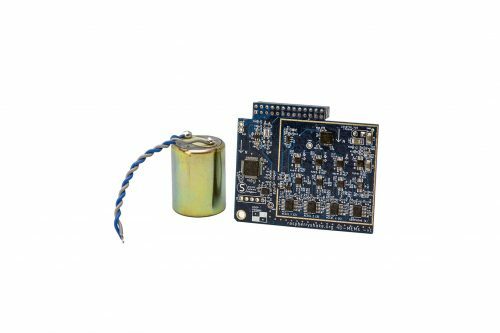 In addition the infrasound sensor allows you to detect a huge number of other activities that a seismograph alone cannot measure. From incoming harsh weather, planes flying overhead, gun fire and meteors exploding over the Atlantic… See all these and more, and discover the untold secrets happening all around you, with the Raspberry Shake & Boom! This DIY solution is the most advanced home earthquake and atmospheric Earth monitor in one. It makes a perfect teaching tool to learn about both seismic and atmospheric events and is an affordable way to increase dissemination for your organization, if you have an existing network. This listing contains only the essentials necessary to have a working Raspberry Shake & Boom – The custom Raspberry Shake & Boom board, Earth monitoring geophone and infrasound sensor (everything else is sold separately). The circuit board of the Raspberry Shake & Boom incorporates four 24 bit digitizers, each sampling seismic and infrasound readings at 100 samples per second with a data transmission rate of four packets per second. This is a great project for people who love putting things together. It is not overly complicated, but we would class it as a medium difficulty level. Ideal for makers, creators and Do It Yourselfers. You can use your own Raspberry Pi computer and even laser cut your own enclosure using the details here. Once you have followed the instructions and put it all together, just plug in and start discovering the wide array of imperceivable activities happening all around you. Supported Raspberry Pi models include the Pi Zero, Pi Zero W, 3 Model B, 3 Model B+, 2 Model B, and Model B+. The older Model B with two diagonally-placed mounting holes is not supported. 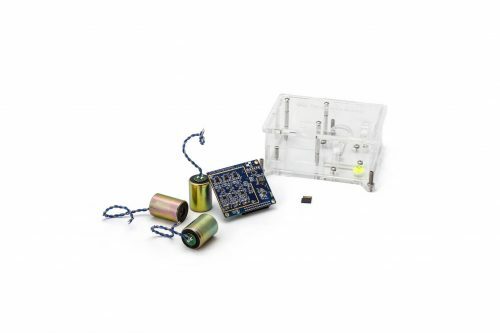 Warranty The Raspberry Shake Boom board and infrasound sensor components come with a one year guarantee. Full details.